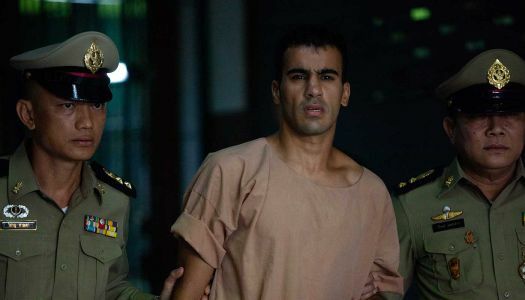 A refugee footballer from Bahrain has been released from a Thai prison and returned to Australia, after Bahrain unexpectedly dropped its bid for extradition. 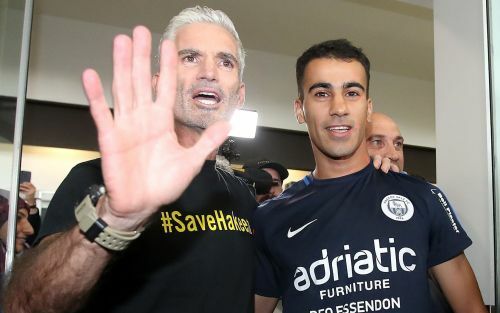 Hakeem al-Araibi arrived in Melbourne on Tuesday, 77 days after he was arrested in Thailand on an Interpol red notice, drawing global condemnation and a campaign to see him freed. The 25-year-old refugee walked through the gates to cheers and a waiting group of supporters wearing T-shirts emblazoned with his name, as well as a throng of media, friends and supporters.